For many years, I wanted what you had. I wanted to be you. I wanted people to notice when I walked in, to stand up, take a bow, pull up a seat even if it meant evicting their friends, open doors, and clap when I spoke. I wanted them to speak well of me when I was around and when I was not. I wanted to smell the best, to dress the best, to look the best, to speak and think the best, to give the best to have the best. I wanted to be you. I wanted people to speak in hushed awe about how amazing my life was, and shout about how well I had made that possible. I wanted to be you. For many years, I have worked to be you. I worked hard. I watched you so I could walk like you, talk like you, dress like you, be invited to your parties…yes there were days you invited me, but my terms were laid out. I was to open your door, stand when you walked in, clap, laugh be on cue with what you were saying and thinking. I was invited to speak well of you. I was invited so that you could have someone to clean up your shoes and sometimes your feet. I was invited to sing to you so you could hurl a javelin at me and be enraged when it missed. I was invited so your nose could have someone to sniff derisively at. I was invited so I could give my best to make you look even better. I ached, but was filled with gratitude because to be invited, means I had caught your eye; though the look in them when ours met always shamed me into the knowledge that I still was not you enough. You probably do not know what it was like to be short and the hunger to be noticed by someone even if it meant charging you much more for your taxes. You don’t know what it’s like to be put aside by a man you had given your best performance – one performance after another. 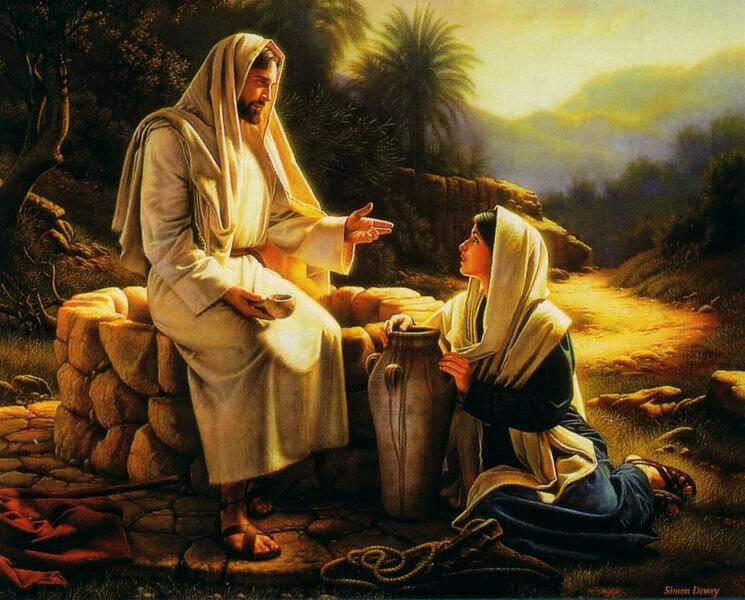 You only see that I cannot come to the well when you are there, and if I do it meant you were permitted to call me a harlot. You don’t know what it’s like to bleed constantly from your privates, from your bank account, to be bled dry by doctors, family, perhaps even your spouse and child and then cast aside, you don’t know how it is not to belong to the inner circle, to be disqualified from healing, from the nearest well even though we are blood. You have no idea what its like to be caught in your sin, when your collaborators have fled the scene. You have no idea about the lonely dwelling my lusts have barricaded me into. You have no idea how it feels to betray the only One Who loved you, how it feels to watch Him die and not be able to change your denial of Him. You do not know what it feels like when in the dimming light He looks at you not the way you look at me, but with love, and know that you cannot return that look in sincerity for your sin has found you out. You don’t know what its like to go back to the way things were after three years of triumph, to be caught naked futilely looking for fish back to that place where you always knew you would never return to – a failure, forsaken, because you forsook, because your faith broke you. To again want to be like you, to again want to be you…. You are the inner circle, you have surrounded the one with my healing, even though I followed from a distance…you would toss me aside if you even knew i was in the crowd. You don’t know what it felt like stealing healing from His garment and being found out. How good it felt when He looked at me like He had seen His best friend. You don’t know how it felt when He spotted me out hanging from a tree and chose me as His dinner partner, in my afore defiled home. You did not see how His eyes called me His friend. You did not feel the power of love that drew me to His feet, conscious of your spiteful and despising eyes that knew my sin, and despised the beauty of my hands and hair and the tears from my eyes that had seen too much. You do not know the feel of His skin against my despised hands and against the tresses from my head that had been soiled by a life He had witnessed with a Heart I was breaking. You did not see how His eyes looked into mine and called me His friend, you did not feel how that liberated my hands, my hair, my tears and my lips. How it felt when His eyes said to me that my body was beautiful enough for God to dwell in, beautiful enough to compare with a holy place like a temple…you did not see how His eyes saw me and called me His friend. You did not feel the cool of the water against my feet as He washed me and the gentleness of His touch against my scorched and tired feet on the day He was dying. You do not know how the food He gave filled me, how the words He spoke to me, broke the chains of darkness that had anchored me close enough to see Him but not enough to be with Him. You do not know how He walked with me when no one could, when my heart was broken and my faith low, you don’t know how He spoke hope into my broken heart and how He did not shame my doubts. You did not see His eyes meet mine across the field of denial, and how they called me again His friend. You judge me for worshipping Him in a way you have not prescribed, yet if you had your way, you would keep me from even loving Him because it keeps me from wanting to be like you. You do not love Him and yet you want to be in charge of how close I get to Him, of how often and how exactly I tell Him the truth – the He is The Love of my Life. You have blown up clouds in my face so that I cannot see the way His eyes call me, because to you, I am already unworthy anyway. So dear inner circle, what are you trying to ‘protect’ me from? You have already judged me unworthy. What more could I possibly loose by throwing myself totally at Him that would be of consequence to you? You don’t know how it feels to not mind not being you anymore, but to want to be like Him. 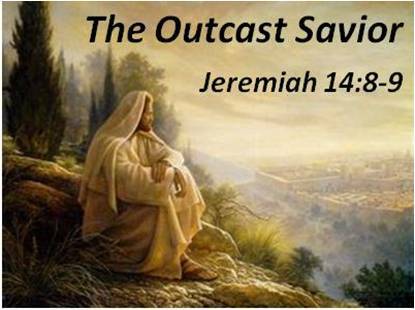 I remain a faithful outcast to you, joyfully, because He has called me His friend, and made me one of His inner circle. Thank you for all you did, to make that possible – your ministry has been a blessing to me. What a blessing indeed Mike :). Even He made a preemptive revelation- that because you belong to him, the world would hate you. I felt my spirit charge up as the words came off the page with a breath of fresh inspiration. God bless you and keep doing this in Him. Glory to Him who sees you Sammi, and who sees me…well…and still loves us.